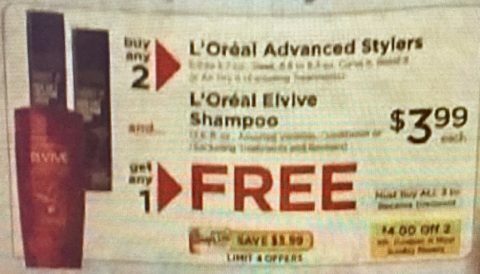 When you buy 2 Loreal Stylers, you’ll get a FREE Loreal Elvive shampoo. Add in some coupons and digital savings and we have a SWEET deal! Pay: $.99 each styler and FREE Loreal Elvive Shampoo!